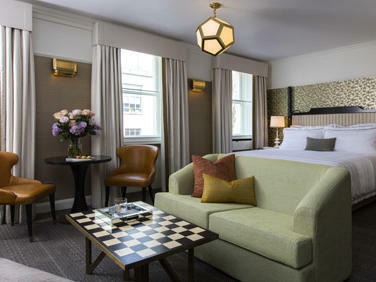 The Academy occupies an enviable position for a luxury London hotel — in the centre of Bloomsbury, an attractive district in London's West End dominated by grassy squares and grand Georgian townhouses with a history dating back 240 years. Easily accessible are the British Museum, Covent Garden, Soho, Leicester Square and the shops of Oxford Street. Euston Station, Kings Cross and St Pancras International Station, which includes the cross-channel Eurostar service, are just a short drive away. Our beautifully-appointed guest rooms and suites have been created by the New York-based, award-winning Champalimaud Design, with a contemporary take on Townhouse living. Each element of our Bloomsbury accommodation comes together to tell the story of the hotel. 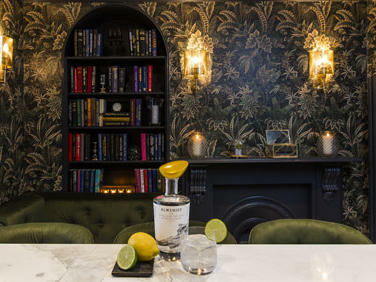 While you start the day right with a scrumptious breakfast in a stylish setting, you may choose to while away an indulgent afternoon or evening in charming historic garden surrounds, or unwind with a glass of wine in the classic yet contemporary cocktail bar in Bloomsbury. The Academy occupies an enviable position for a luxury London hotel — in the centre of Bloomsbury, an attractive district in London's West End dominated by grassy squares and grand Georgian buildings. The Academy is near UCL London and offers easy access to some of the capital's most recognisable areas and famous attractions. The British Museum is only a 4-minute walk away. 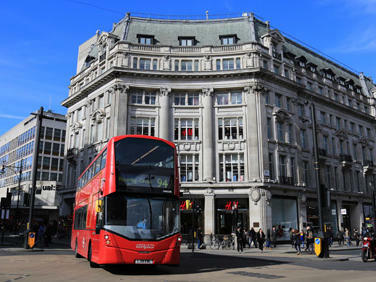 Close proximity to various means of transport allows us to cater for tourists looking to explore the London landmarks.